The Anou - Fair Trade Finally Reaches Morocco! The Anou – Fair Trade Finally Reaches Morocco! Tucked into the valleys of the High Atlas, the Amazigh tribes of Morocco make their homes and live in much the same way they have for generations. Agriculture and traditional trades are the way people survive here but like the rest of the country, they too have seen the opportunity to earn money selling their goods to tourists. In these mountain regions the highly fashionable Beni Ourani rugs that grace home design magazines serve the practical purpose they were created for as temperatures commonly dip below freezing during winter months, making warm floors a must. In the same way, wood carving, weaving and metal work is as much art as it is functional craftsmanship. It was here, with these products, that Morocco’s first truly fair trade cooperative was born. Many of the adults who live in these regions are illiterate and communicate in the local language of Tachelhit, a language not related to Darija the Moroccan dialect of Arabic. While some villagers speak Darija, many do not adding an extra layer of complexity of getting their goods to market. For decades the shop owners in Marrakesh, Fez and other big cities would show up in villages like Ait Bougmez and offer artisans a pittance for their goods, or offer them a token exchange such as a 100 dirham ($10) blanket in exchange for a rug that they will go on to sell for thousands of dirham (hundreds of dollars). A rough estimate by locals in the know is that 95% of the profit found its way to the middleman’s pocket. Why then would craftsmen and women agree to these exchanges? When asked, the response is typically, what other choice did they have? Remote villages might see a trickle of tourists in the summer months and it was too difficult and expensive to get to the cities where tourists could buy their goods. Ait Bougmez is only 200 kilometers from Marrakesh (just over 120 miles) but it might as well be a thousand. The roads leading to the villages alternate between a single paved lane to dirt, winding through mountain valleys and peaks, and through villages that rarely see passenger vehicles. It can take over five hours to reach this village in good weather. When the weather is bad, snow can isolate villages for weeks at a time. Few people have their own vehicles and public transportation is virtually non-existent. Enter the internet and Dan Driscoll. In 2008, Peace Corp volunteer Dan Driscoll was assigned to the village of Ait Bougmez and lived among the Amazigh. While there, he met Brahim El Mansouri a local man who was constantly looking for ways to harness the power of locals to improve their local community and economy. A friendship was born and the two would become the heart behind the online community, Anou (pronounced “anew”). Dan recognized immediately how determined Brahim was and wanted to help. Dan remembered when the internet first came to Ait Bougmez because, “here I was living in my mud house with no running water, but I could use the Internet.” It made sense to Dan that they should be selling products directly on platforms such as Etsy and Ebay and he brought this idea to the local artist co-op. Working with Brahim to get the artists online they devised a system to list the products using templates pre-written by Dan and then having the artisans memorize the order and placement of the buttons. This wasn’t easy as only Dan could read or write English and both e-commerce websites were constantly tweaking their layout and design leading to frustration when things were no longer where they “should” be. From the outset he wanted villagers to be able to run their own small businesses, beginning with the creation of the products, photographing the final product, listing them for sale, and finally shipping them to their final destination. It became clear that a new solution was needed. What makes Anou different is that it is the first authentically free trade sales site for Moroccan artisans. It completely removes the role of outside organizations and allows the local communities to do the work and receive the financial outcomes of their efforts directly. Traditional sales websites didn’t work for local needs and so a new platform was built from scratch to take into consideration the needs of the artists. A simple, language-free, culturally responsive interface allows them to take a picture, upload it, and set their own price for every product. Each community has a trainer that helps new members learn how to use the technology, take pictures of their products, and price fairly. Once uploaded they then review the listing to ensure everything is correct and provide feedback through a color-coded, symbol system. When a sale is made the artist receives a text message that lists only the item number and shipping address – keeping it as simple as possible. The only thing required is a basic smartphone with an internet connection. Right now there are 50 communities across Morocco and 500 artisans involved. 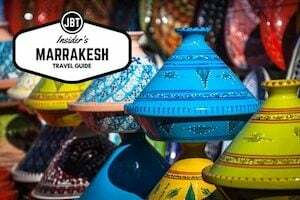 Brahims’ goal is “to create a place where all of the artists of Morocco can come together to display and sell their products.” He’d like to see 800 communities and 80,000 artisans involved and earning 2000 dirham a month. As Anou continues to grow they’re careful to do so in a way that respects their original mission. 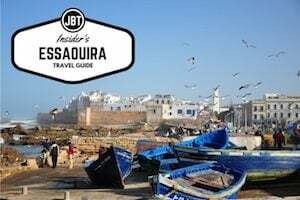 For those who want to buy directly from artisans while visiting Morocco they have begun partnering with socially conscious tour agencies and operators such as Journey Beyond Travel. Where Anou once had to actively seek out artists to work with them, they now have people asking to join. Fatima is one of the women who works both as a weaver and a local trainer. With the help of the new platform she’s been able to improve the quality of life for her family in small ways such as the ability to purchase food and clothing without financial worry. But perhaps more importantly it’s given her a sense of pride and self-esteem through economic self-sufficiency. Something you can’t place a price tag on. Journey Beyond Travel is proud to partner with Anou, who uphold the same principles of sustainable tourism as we do. If you are interested in learning more about Anou and the potential to visit an Anou participant site during your time in Morocco please contact us. We look forward to sharing this opportunity and unique experience with our guests.